“This book is a brave social and political intervention, but as the author recognizes, it should not have required bravery to produce. The uncharitable reader may view some essays constituting the book as a call to oppose “liberal values”, but this would be a misreading. The author critically evaluates liberalism, shifting between more logical and more emotional lenses. Having articulated “liberalism” from different points of view, and in different contexts, the author does not appear to reach the conclusion that liberalism is baseless or that its genuine adherents are mistaken. Rather, he simply refuses to assume that liberalism comes without a cost when it is imposed top down on a global scale. He also refuses to believe that those who claim to manifest and protect “liberal values” necessarily do so. One may say that the author has an interest in preserving “liberalism”, insofar as such a concept may be construed as an imperative for imparting freedom of thought and conscience to the individual. However, the essays of this book also appear to be articulated around the notion that the costs of universalist liberalism on human psychology ought to be matched by the benefits that liberalism’s adherents purport it to offer. With respect to the costs of liberalism, they may be better understood as the costs of international modernity more generally. The book states “people perceive life differently because they are different” and that “The objectives of one-world globalism and its universalist view of humanity are based on fundamental flaws about human nature”. Where the author makes such statements, they clearly derive from a place of deep appreciation for what one may call “traditional” modes of human existence, and the risks facing them. This is likely a result of the author’s extensive anthropological work with non-Western peoples. A remarkable notion to take away from the authors application of an anthropological perspective to Western societies like Sweden, is that the natural Western impulse to consider some concepts, conventions, and norms to be “traditional, and others not, is difficult to justify. Indeed, to believe the Western human mind to be capable of escaping the modes of intuition and thought that are believed to be captured by the term “traditional” may suggest a fundamental misapprehension about how humans think and behave regardless of how “rational”, “western”, or “modern” they believe themselves to be. With the author’s rich knowledge of various ancient cultures and customs, the book demonstrates how the ‘cultural grammar’ that is enforced top down in many Western states is no more inherently “rational” than traditional value structures, but may be more self-destructive. It appears that all humans value sacred things in a way that may be called “traditional” and the author guides us through the pathological nature of those things that Westerners have been forced to unthinkingly adopt as “sacred” at the expense of inheritances that may have more meaningful and historically contextualized sanctity. It is evident from the book’s examples that, to at least some degree, the timeless universalism of liberalism comes at the cost of mythological modes of knowing and ancient traditions of social organization, that are nested in particular histories, of particular peoples, at particular times. Considering its costs, one would hope that liberalism would come with the putative benefits of personal “freedom” for those who respect such rights for others. Such would include the freedom of individuals to continue to value what they find meaningful in their traditional pasts, or at least speak of the value of such things. However, whether it is believing that the tending of “ancient farmlands” by ancient families should be continued, or believing that the Swedish people carry a historical culture, social tradition, and identity that are worth keeping recognizable, the book argues that such notions are considered beyond the pale by the current “liberal” establishment. There is an irony that plays out throughout these essays. By basing his case against forcing mass migrations on unwilling populations on the importance of preserving the particular senses of history and culture shared by particular societies, the author reveals an interest in preserving genuine “diversity” on a global scale. 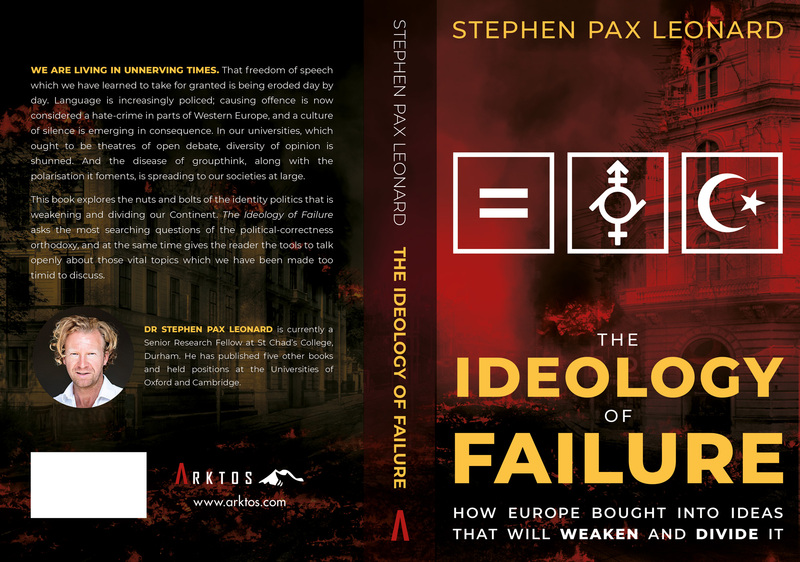 Furthermore, by making the case for freedom of thought and conscience in those Western societies whose remit of acceptable discourse is continually curtailed by powerbrokers in global technology and government, the author demonstrates an interest in genuine “diversity” of thought between individuals. It is likely his deep love for genuine “diversity” of this sort that impelled the author to be so critical of the “diversity” agenda in the West, which has become so institutionally entrenched in a base of such unprecedented power, that the legitimacy of the notion, and the means of its application, go unchecked. In more general terms, the essays in this book invite those enamoured of “progress” to consider what it is that human societies are “progressing” toward. In this respect, the critique is not unlike the romantic or post-modernist literature that emerged in response to prior states of modernity, and which called modern excesses into question. However, unlike many post-modernists, Dr. Leonard does not presume himself to be standing outside time or space, from a privileged place that is left without historically contingent meaning. This self-awareness is indicated by the author’s implicit recognition that if his desire is to preserve cultures and peoples around the world, it is only right that this motivation should also extend to his own. I recommend this book to those who have experienced the often jarring experience of unintentionally realizing that something may be rotten in the received wisdom of Western modernity. I recommend it even more to those who are observing “populist” crises unfold again and again, and stand shocked and confused. It can be valuable to read an author who critically evaluates the framework from which one views the world. From the perspective of a person who considers himself a globally minded liberal, these essays have revealed a number of assumptions I have made in judging worldly trends, which deserve pause for thought”.